Barcelona defender Gerard Pique has said that Lionel Messi takes the team to another level with his performances. The Blaugrana recently progressed to the quarter-final stage of the competition after they secured a comfortable 5-1 win over Lyon at the Camp Nou to compensate for the frustrating 0-0 draw on the road. Barcelona dominated the course of the first half against Lyon and they managed to secure a comfortable 2-0 lead before the break. However, the second period became trickier after Les Gones pulled one goal back through Lucas Tousart at the hour mark and this generated fear among the Camp Nou faithful, given the French side would have progressed with another away strike. 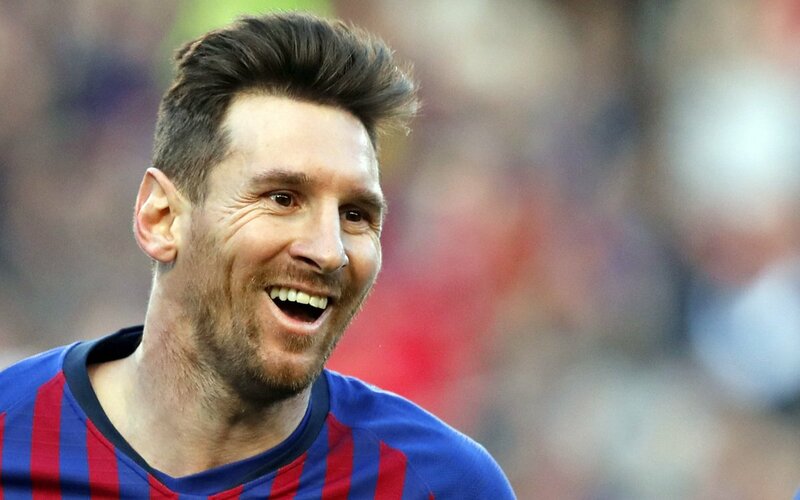 But, this was not meant to be with Messi changing the dynamics of the game with a 78th goal while provided further assists for Ousmane Dembele and Gerard Pique to find the net. With the victory, the Blaugrana have entered the draw for the last eight of the competition where they can expect stiff competition. Out of the other seven sides, Porto and Ajax are probably the underdogs, but they can’t be taken for granted with them ousting Roma and Real Madrid respectively from the competition. Porto secured a 4-3 aggregate triumph over Roma. Ajax, on the other hand, embarrassed Real Madrid with a comfortable 5-3 aggregate win.